After all, we could just go ahead and make non-deductible contributions to our a Traditional IRA over the next few years and then convert those funds into a Roth IRA in 2010. At first blush, the only thing that we’d owe taxes on at that point would be earnings on our contributions, as we’d have already paid the taxes on the contributions themselves (remember, if you’re over the Roth contribution limit, then you’re over the Traditional IRA deductibility limit). 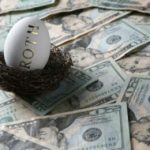 Abolishing Income Limits for Roth IRA Contributions? Going forward, this change effectively abolishes income limits for Roth IRA contributions. Or does it? Unfortunately, there’s a pretty major gotcha that people need to be aware of before trying to pull this off… As it turns out, the taxable portion of your conversion is calculated by first pooling all Traditional, SEP and SIMPLE contributions and calculate the overall percentage of tax-deferred funds. You then pay taxes on that percent of your conversion as opposed to being able to designate that it’s your non-deductible contributions that you’re rolling over. In other words, it’s not enough to set up a dedicated Traditional IRA to hold your non-deductible contributions until you make the conversion. Rather, as long as you have other non-Roth IRAs, that money will need to be factored in when figuring up the taxable amount of the conversion. And yes, I’ve confirmed that “traditional” in this case applies to SEP and SIMPLE IRAs, as well. So unless you’re starting from a clean slate, with no other IRA holdings, you could end up owing a lot more taxes than you expected come 2010. 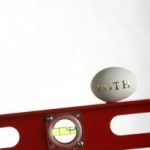 As with most tax situations, there is an effective (albeit somewhat inconvenient) workaround… If you happen to have tax-deferred money sitting around in a non-Roth IRA you can shield it from this rule by rolling it over into a non-IRA employer plan. Check with your employer about doing this with your 401(k), but be aware that they can’t accept any non-deductible money, and many just plain won’t allow it. Another option would be to open a Solo 401(k) and then roll your non-Roth IRA funds into there. All except for the non-deductible contributions, of course, as that’s what you’ll want to convert into the Roth account. So is it worth the trouble? I’m still undecided. It would be great to get around the Roth contribution limits, but this is a pretty inconvenient way of doing it. Beyond that, there’s no guarantee that the tax laws will remain unchanged through 2010. While even non-deductible IRA contributions have their advantages, you lose a ton of flexibility, and you don’t necessarily gain much that couldn’t be achieved through tax efficient investing. When is the tax basis calculated. At the time of conversion to ROTH (during the year) or at the time of filing taxes? It it is at the time of conversion what happens in case of recharacterization? Jeff, you only have to pool YOUR IRAs to calculate the non-taxable basis. You’ll have to do the same with your wife’s accounts if you plan to convert any of her’s to a ROTH. In my case my wife has a T-IRA only and the current mkt value is lower than the cost basis. So I plan to convert all of her T-IRA account to a ROTH and I won’t have to pay additional tax. 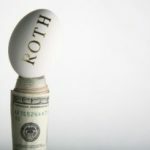 When calculating the total value of all “Traditional IRAs” in order to determine what percentage of the Roth conversion is taxed, does it include both spouses’ IRAs? In other words, if I am the only one to convert an IRA to a Roth, do my wife’s IRAs come into the mix? since I already will have paid the tax on it? If in the past year your 401K got clobbered by the market, would it be a good time to convert your Traditional IRA to a ROTH IRA since your ‘gains’ have effectively been reduced and therefore you tax bill would be less? Then, after the transfer, you could try to grow it back in a tax free ROTH IRA in the coming years? I would like to take issue with your statement, “(remember, if youâ€™re over the Roth contribution limit, then youâ€™re over the Traditional IRA deductibility limit)”. I have a number of friends who earn in excess of $250k per year, can’t fund a Roth, but take a 100% deduction for their $6,000 annual contribution (we’re all over 50) to their traditional IRA. The only time that an individual’s earnings affect the deductibility of his contribution is if that person is covered under an employer’s qualified plan. Youâ€™re right when you state that the â€œfund a Traditional IRA, then convert to a Rothâ€ solution is only a simple one if youâ€™re starting from a clean slate. Unfortunately, most high income retirement plan participants are in their 50â€™s and 60â€™s, so they probably have an IRA already. So whatâ€™s the lesson here? If youâ€™re uncertain of the impact your actions will have, either consult a professional advisor who is sure, or donâ€™t mess with anything. Trying to save a few pennies while armed with half the information you need is likely to cost you more than youâ€™ll ever save! I think the workaround may not be work on employer plan begining tax year 2008. In 2008 you are allowed to convert from 401(k) to Roth IRA. My assumption is that the IRS 8606 form will be updated to reflect 401(k) in addition to the traditional IRA, SEP-IRA and SIMPLE IRA in calculating your basis percentage. We will wait and see in 2010. LivingAlmostLarge: I’d wait until 2010 to make a decision like this. Who knows what tax changes could be in place by then? For all we know, the AMT won’t be around any longer. We have about $40k in DH’s old 401k and we’ve left it alone for now. We were considering rolling it in 2010 into his Roth IRA when the income ceiling is lifted. But the more we think about it, the more we think it’s a bad idea. We’ll likely be 28-33% tax bracket and if we don’t have kids could we be hit with AMT? And if we do we also could be hit with AMT right? So I’m not sure it makes sense to convert because we’ll have to pay state taxes on top of that, so will we likely be in a lower bracket during retirement? > Moving it to a Solo 401k, doesnâ€™t solve any issues since it will still be taxed at the end, like Trad. IRA. Randall you don’t understand. My current Traditional IRA contributuions are not deductable from income. The T-IRA account will accum earnings tax deferred, taxes are paid when withdrawn. If I can roll that T-IRA into a Roth the earnings will be tax FREE. That will help build a more tax diversified portfolio. So if taxe rates are high I would withdraw tax-free money. I too have a SEP-IRA that dwarfs my non-deductable IRA so a conversion to Roth that require prorating in the SEP would be 95% taxable. I don’t want to pay more taxes now. I made a “calendar todo” to check into this at the end of 2009. I probably will setup a SoloDB this year. That means no more SEP, but I can have a Solo 401(k). Where this logic does work is if you currently have a 401(k) from a former employer as my wife does. We are waiting to 2011 to roll that to an IRA so that her current T-IRA loaded with non-deductable contributions can be rolled to a Roth. With a Democratic Congress likely in power at least through 2010, and a Democratic President likely in 2008, I would not count on this tax “break” being available when it’s scheduled to be. By then there will likely be a permanent fix to the AMT, and there’s little question that closing this loophole would be part of that process. Very unfortunate. I’d be careful with banking on having this available. This is an understandable issue because all the sources of rollover money you listed are ‘pre-tax contribution’ sources. 401k and Traditional IRAs both don’t have tax taken out until funds are disbursed (retirement). To do the rollover to a fund that NEVER has taxes taken out, means the government is going to require those taxes up front. Either way you pay taxes on the money. The benefit for the Roth IRA (and Roth 401k also) is the belief that not having to pay taxes in the future is better than not paying taxes now. Whole ‘nother discussion I won’t go into here. Moving it to a Solo 401k, doesn’t solve any issues since it will still be taxed at the end, like Trad. IRA. One workaround is to break up the rollover over a number of years, rather than taking a big tax hit all in one year. But YMMV on this. If you believe it’s better to get taxes out of the way, this probably wouldn’t be too attractive an idea.